Aventurine is a translucent variety of the mineral quartz that has small inclusions of platy minerals such as hematite or goethite. The inclusions give aventurine its subtle sparkle. I like to pair peach aventurine with brown jasper or carnelian. 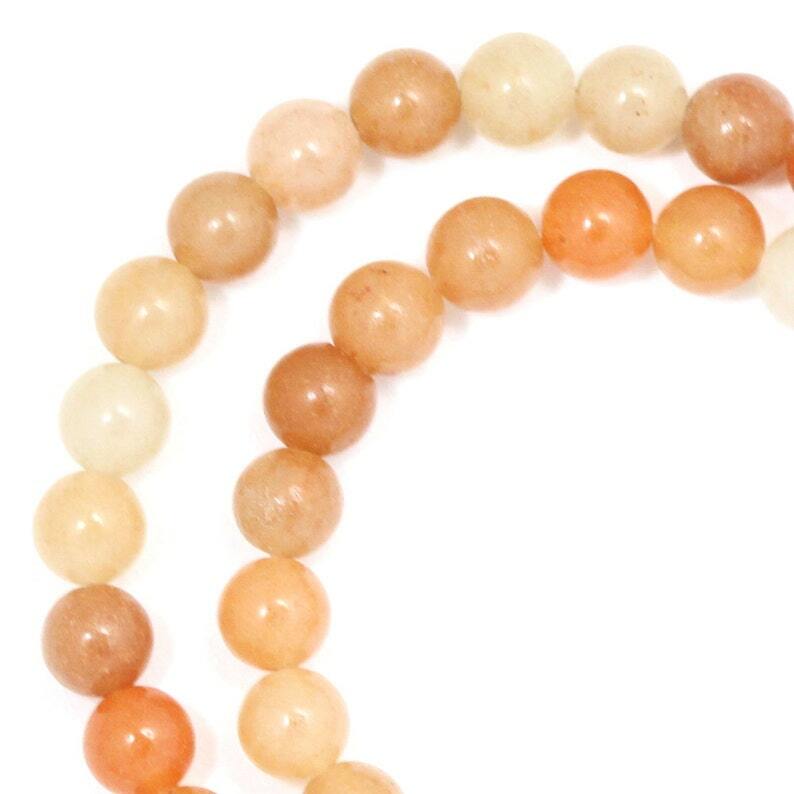 These peach aventurine beads are really pretty, but to see them in the final stage of the project, it is exquisite. Shipping was very fast. Thank you very much! Beautiful, excellent quality beads! Excellent variety of colors!